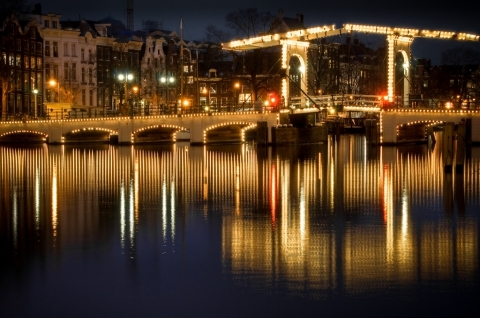 Enjoy a canal cruise through the beautiful city centre of Amsterdam. Experience an unique view from the water on the bridges and historical canal houses. Our boats are comfortable heated and offer a cosy, luxury setting to enjoy and explore the city. We’re happy to welcome you on board! 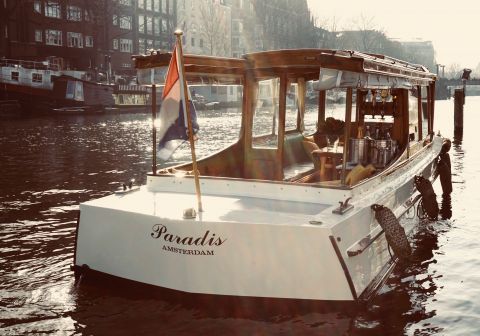 We offer completely private boat tours through the canals of Amsterdam. Sail through the old area the Jordaan, see the 17th century famous canal houses, the Amstel river and the modern architecture on the IJ, namely the ADAM Tower and Eye Museum. Enjoy breakfast, lunch or an afternoon tea served on board, a drink with appetizers or even a stylish three course dinner. Please visit our fleet and allow us to introduce our saloon boats. Our professional captains are pleased to guide you and inform you about the city. Surprise your partner with a personalized cruise or organize an unforgettable anniversary on the canals with friends and family. 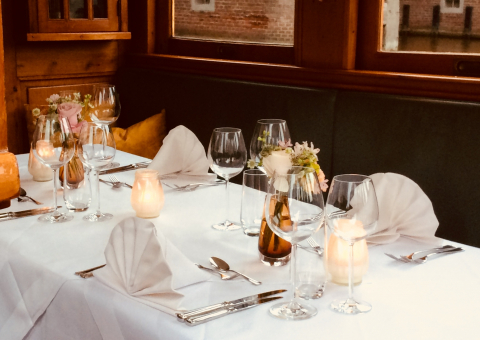 Our boats are also very suitable for private business meetings as well as a wonderful way of transportation from one location to another, for example from your hotel to a restaurant. If you have something very special in mind like a wedding proposal or even your wedding day, our boats offer a great location. Experience Amsterdam at it's best!